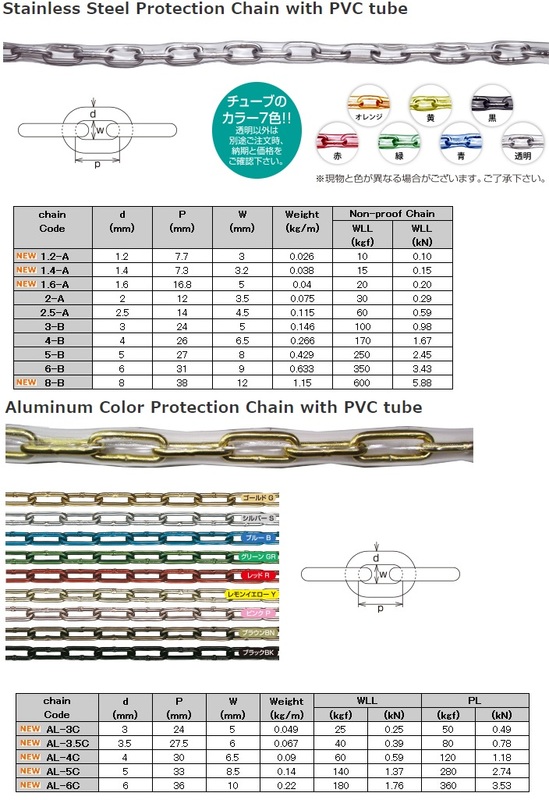 PROTECTION CHAIN | MIZKEN INC.
Our Protection Chain is covered by PVC resin tube to reduce the frictional noise against physical objects and prevent scars from the contact. It is perfect for chain locks for bicycle and motorcycle, the safety measures for the equipment and more. Stainless Steel chain and Aluminum chain are available with a large choice of color variations.